We hope you understand that aggressive is not about coolers’ behavior, they will not bite you because of bad mood, hah. In this case aggressive is these coolers’ design which reminded us about polar bears and frosts of the North Pole. The brand Cordova is not such popular as such well-known brand as Yeti or Engel, so we decided to make this article in order to show you that there is a good alternative to world famous brands and for much less money. So, welcome purely US-made coolers which are ready to surprise you with the high-end features! Main characteristics of Cordova Ice Chests or what do they can Offer? So, what you will get after purchasing this guy? Firstly these coolers are famous for their unique latches system. 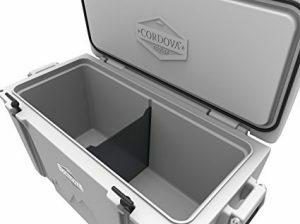 However the Cordova coolers are equipped with the same latches’ type as a lot of other brands’ high end coolers have, the distinctive thing is that the large latches of Cordova’s ice chests are connected with the durable grade gasket in order to provide the unique hermetic sealing of the cooler’s lid. Another part of your attention should be given to the handles of these coolers. This is the case when durability is perfectly united with the convenience. 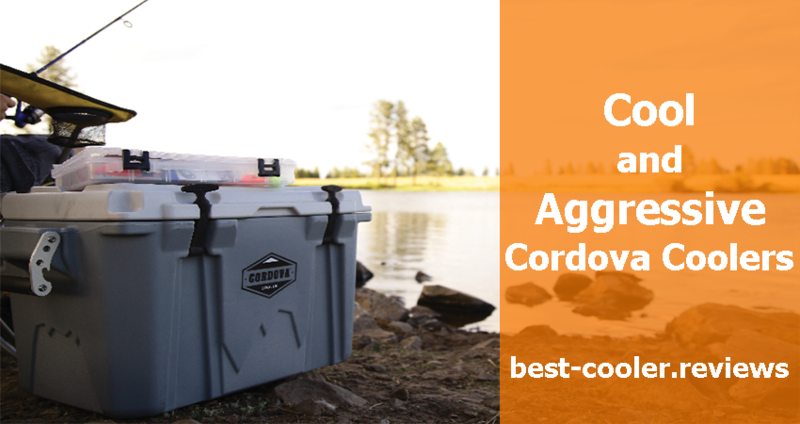 The Cordova’s handles are toughly attached to the walls of the cooler from both sides and are made of the extremely durable type of aluminum in order to provide the most reliable cooler carrying even when it is fulfilled. Moreover these handles are covered with the rubberized gasket for providing you with the most comfortable cooler’s transporting. What more? If it’s not enough for you, these coolers are also equipped with the plugs for draining water that are situated at the outer cooler’s side. The Cordova’s coolers are also equipped with the integrated opener for beer bottles which is small but very useful feature. The body of these coolers is extremely durable, so you can sit on it without any worrying of braking. The best thing is to see everything with your own eyes, so sit down comfortably and watch our video about duration of ice retention period of Cordova Ice Chests. 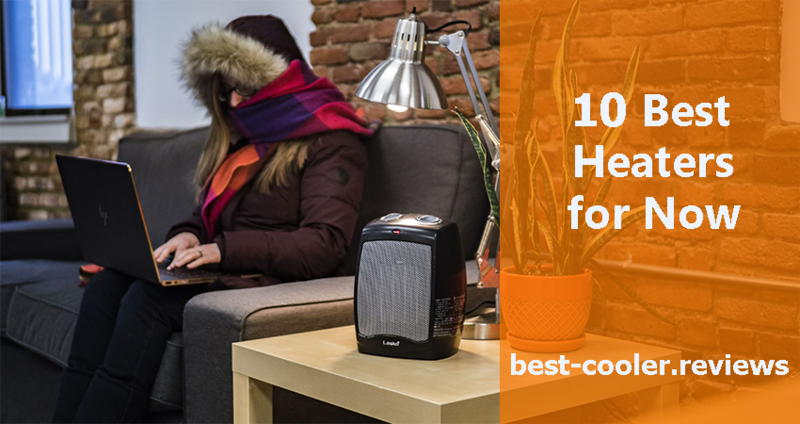 We don’t want to over persuade our readers for purchasing this brand, but we think that these coolers have more than enough reasons to be deeply considered as a good possible option for purchasing when you are looking for the new good high-end cooler. Ice chests made by Cordova have good duration of ice retention period, are equipped with the good latches system, are purely American-made (this feature has conquered a lot of hearts already) and have a good reasonable price and convenient design. 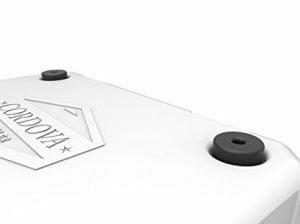 Design and shape of each Cordova option is well thought out and each detail is exactly where it should be. Let’s consider this part a bit more deeply. 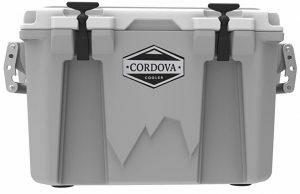 The Cordova brand offers many various sizes available and the largest option in the Cordova Coolers line has the size of 25 7/8 x 14 1/4” x 15 ¼ inches. Speaking about durability insulation of these options it should be mentioned that each Cordova coolers representative has a special layer of foam that provides very good level of insulation even under the direct sun rays. 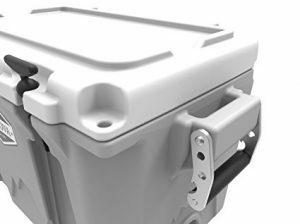 With such construction current coolers can compete with such brand as Pelican or Yeti and show even better results that can be seen in these Ice Challenges. One more important thing to mention is the Lifetime Warranty of these ice chests, nowadays not many coolers can provide users with such opportunity. 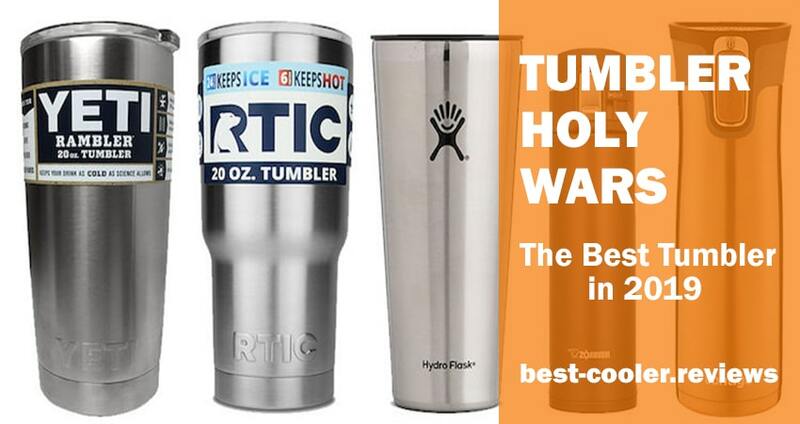 So, light-weighted, purely American, with the good features and stylish design coolers are definitely worth your attention while the price tag and lifetime warranty will definitely not leave you indifferent.